Subotica is a Serbian city with some 100,000 inhabitants located very close to the Hungarian border. The city experienced major growth during the Austro-Hungarian Empire, helped by the development from 1896 onwards of an important railway link, which encouraged many traders, artisans and financiers to settle in the city. Alongside this growth, various buildings were constructed following different neo-European and academic styles. But it was Vienna's Secession movement that marked the style of the city centre. With the arrival of Hungarian architects, the city underwent an urban renewal that, in accordance with the modernity of the day, transformed it into the main centre of Serbian Art Nouveau. 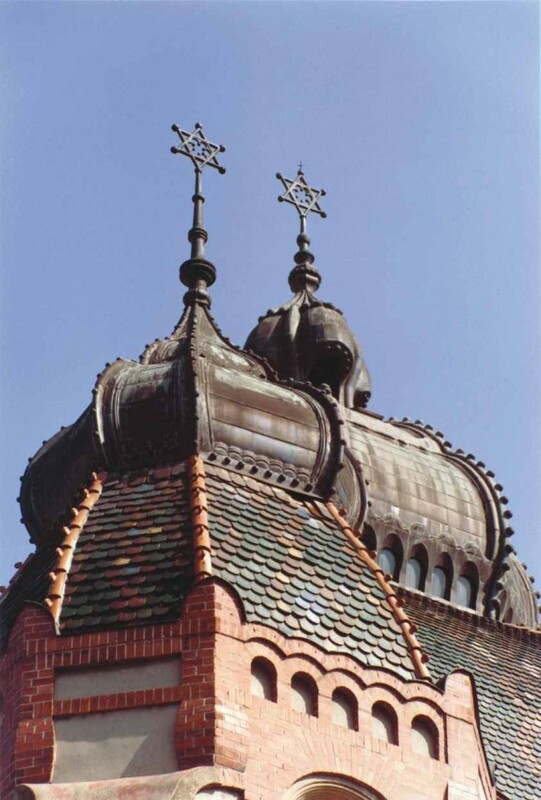 The first example built in the Secessionist style was the town's Synagogue (1901-1902), by Marcell Komor and Dezsö Jakab, who were followers of Ödön Lechner. It is an excellent example of Hungarian Secessionism and its exterior combines stucco ornamentation with exposed brick and enamelled ceramic decoration from the Zsolnay factory in Pecs. The interior is decorated with sculpted wooden elements and colourful paintings of plant, floral and peacock feather designs, which are repeated in its stained glass windows, designed by Miksa Róth of Budapest. 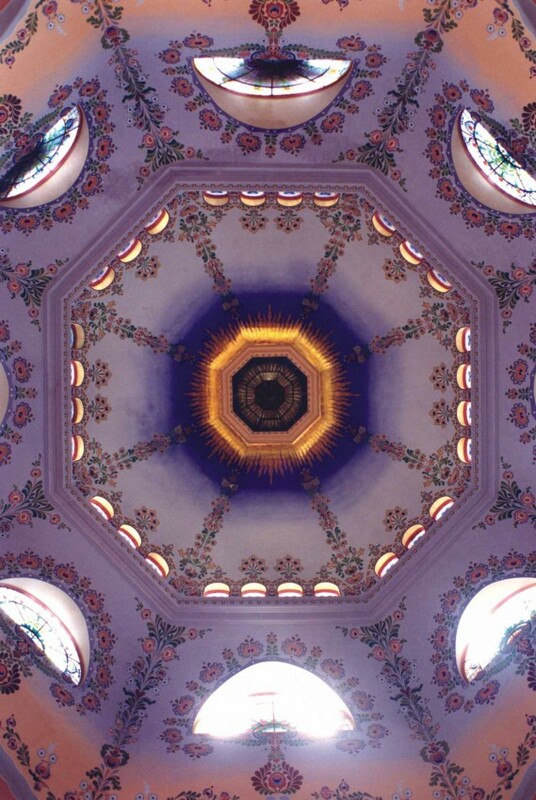 In order to construct the large central cupola, which is supported by a steel structure, modern techniques were used, such as the Rabitz metal network system, invented by Karl Rabitz in Berlin in 1878. Between 1908 and 1910, the same two architects designed the town's new Town Hall, a grandiose building with an impressive bell tower that dominates the town, making it its most obvious symbol. 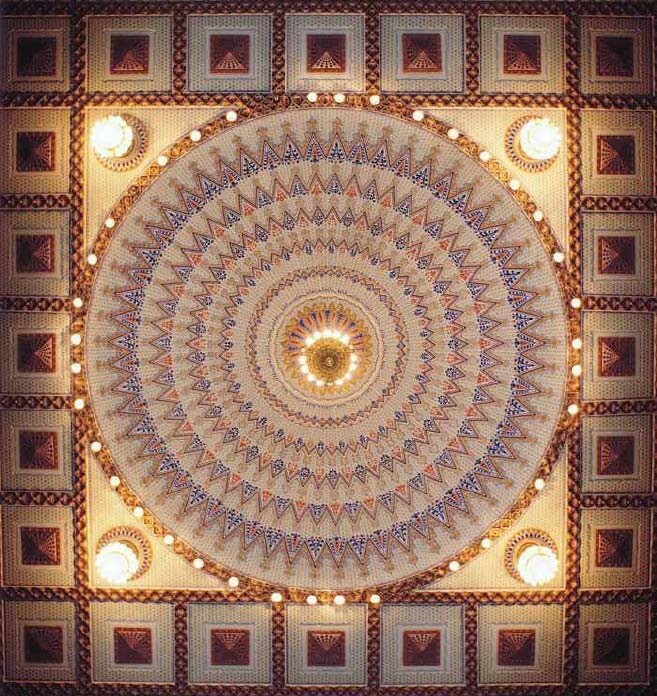 The decorative elements are based on traditional handicraft motifs and ceramic pieces from the Zsolnay factory were also used, as well as stained glass from the workshops of Sandor Nagy and Miksa Róth. The same architects also designed the Szabadkvideki Kereskedelmi bank building (1907). Another example of Art Nouveau architecture is the house the architect Ferenc J. Raichle designed for himself in 1904, which was decorated with Venetian mosaics and is currently the Artistic Encounter Gallery. The leisure facilities close to the town at Lake Palic also have some interesting buildings by Komor and Jakab, such as the Women's Beach, Water Tower and Grand Terrace (1912).